Does modern science - while agreeing with Darwinian evolution, the big bang theory and the complexity and deep age of the universe - prove the order of creation as described in the Bible to be true? It takes just one page in the Bible to describe the creation of the universe, the Earth, the sky, the seas and all life on the planet. But a close reading will reveal that it is written in a very odd order. Light is mentioned twice - in 'let there be light' and secondly in 'let there be lights . . . to divide the day from night'. Whales appear before birds. Vegetation appears after 'let there be light' but before day is separated from night. 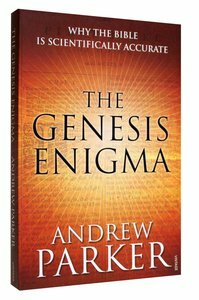 In The Genesis Enigma Andrew Parker argues that the reason the Genesis account is strangely ordered is, amazingly, that it precisely reflects the order of events as we now understand them. The latest reinterpretation of Earth's ancient rocks and fossils and their comparisons with animals today has completed our understanding of the history of the Earth and of life. By comparing the data of science with the words and phrases of Genesis 1-11 the remarkable parallels become clear. In a fascinating and controversial scientific detective story Andrew Parker reveals how the latest modern understanding corresponds in unerring detail with the creation account in Genesis. His astonishing conclusions will revolutionise how many of us view the debate between science and religion, and asks the question: in a scientific world is there still a place for God? Professor Andrew Parker was born in England in 1967 and moved to Australia in 1990 where he spent ten years studying marine biology and physics. On returning to the UK as a Royal Society University Research Fellow at Oxford University in 1999 he worked on colour, vision, biomimetics and evolution. In 2000, based on his 'Light Switch Theory' for the cause of the Big Bang in evolution, he was selected as one of the top eight scientists in the UK as a 'Scientist for the New Century' by The Royal Institution (London). Today he is Honorary Research Fellow at Green Templeton College (University of Oxford). He is also Research Leader at The Natural History Museum, London and a Professor at SHANGHAI JIAO TONG University and has recently been a ARC Federation Fellow at the University of Sydney. His scientific research centres on the evolution of vision and on biomimetics u extracting good design from nature. He has copied the natural nanotechnology behind the metallic-like wings of butterflies and iridescence of hummingbirds to produce commercial products such as security devices (that can't be copied) to replace holograms in credit cards and non-reflective surfaces for solar panels (providing a 10% increase in energy capture). Today he is commissioned by international car manufacturers and cosmetic companies, such as Yves Saint Laurent. Professor Andrew Parker is the author of In the Blink of an Eye and Seven Deadly Colours.